This pasta sauce is definitely a keeper. You don’t need a lot to make a yummy and fresh pasta sauce, and with your Magic Bullet, it’s so easy to do! Roasting the tomatoes, onion, and garlic enhances their flavor. It is super yummy! Preheat the oven to 375. Add tomatoes, onion, and garlic. Coat with 2 tb. olive oil and a sprinkle of salt and pepper. Cook for 20 minutes, tossing every so often. 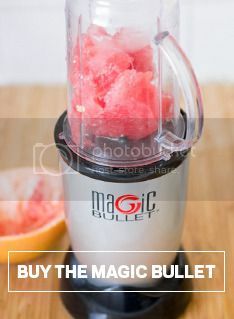 Add the cooled ingredients to the Magic Bullet Blender. Puree until creamy. Add sauce to medium sauce pan, along with basil. Simmer for 5-10 minutes. Season with salt and pepper, and a little fresh parmesan cheese. Serve over pasta sauce and enjoy!